The PPC, SEO & Analytics News Roundup is a new and exciting addition to APJ Digital blog and is a chance for us to share with you all the latest, greatest and most valuable updates in the SEO, PPC and Analytics world. We know there is a stack of information out there on these areas of expertise coming from the industry leaders month on month, and it can be a full time job trying to navigate your way through it all to find the best and most relevant pieces of information. Our goal here is to save you time and give you a round up of the month’s top news and updates. Getting the most out of your marketing budget when it comes to PPC can be a difficult and occasionally confusing process. Because of this we have been pleased to see the introduction of Google’s new Smart Bidding strategy: Maximise Conversions. This new tool automatically sets the right bid for each auction in order to help you get the most out of your daily budget on the platform. The Smart Bidding tool uses Google’s machine learning technology to optimise for conversions across every ad auction. Practically this means that bids will be optimised against factors such as remarketing lists, time of day, browser and operating system, meaning bids may be higher but the likelihood of conversion also greatly increases. This is a great way of spending marketing budgets smarter when quick conversions count for example in stock clearance or limited time offers. You can read what Google has to say here. 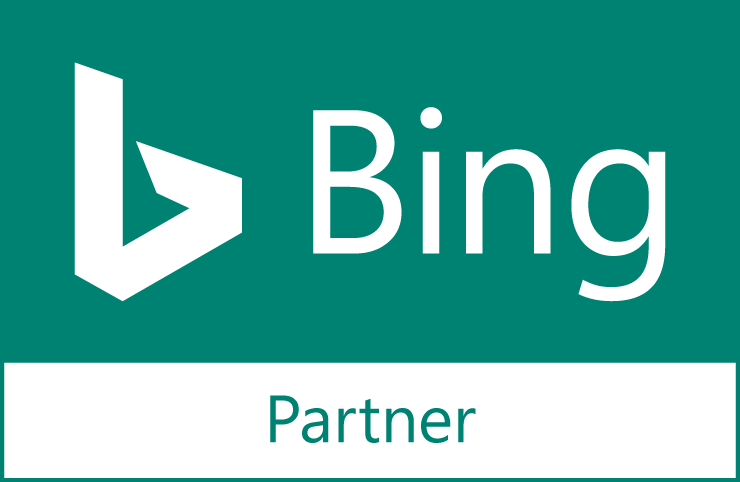 Bing has announced that they will now be supporting English language ads in both France and Germany. This is great news for those that want to use the platform to promote their business in the countries. This update has been made due to demand from the Bing community, however visa versa French and German ads are currently not supported into the UK. But worry not, Bing has announced that more cross country/language ads will be making an appearance in the near future. Read the full update from Bing here. On the morning of the 23rd May 2017, at Google Marketing Next, Google announced that the new AdWords experience will be available to all marketers by the end of this year. Above and beyond the information they have already given on this update they also announced updates that will allow users to build campaigns around your marketing goals, view performance estimates to help you plan your campaigns and understand how your landing pages are affecting your campaign performance. We are pleased to see these updates, in particular those focusing on landing page performance as mobile platforms become more widely used and important in marketing. You can catch up on all the updates here. Contributor posts, guest posts, partner posts, or syndicated posts can be a great way to increase SEO and draw quality links to your site and other sources of useful information. That said, Google have released a statement highlighting that ‘spammy’ links in this type of content can lead to your site being penalised. You can get a full update on what Google has to say here. Last year Google added Survey 360 to the Google Analytics 360 suite to help users ask a pool of 15 million real users as they search the web or browse on their mobile phones. Google has now announced that they will be extending this tool to be used along side the wealth of data you currently hold in your AdWords account. In practical terms this means that you can gather qualitative data along side your quantitative data to gain real insight into your website users, for example this data may be able to tell you why someone abandoned a cart or if someone had converted because you have introduced free shipping. Showing their understanding of the functionality and issues faced by those that use the Google Analytics platform, Google have announced that they will be making managing tags easier with a move to one central location. The Google Analytics Setting Variables is a new central location that can be used to configure sets of Google Analytics settings for use across multiple tags. This is a great move by Google as it means instead of having to repeatedly enter your setting over and over again with each new Universal Analytics tag, you can now select pre-selected settings to apply. Ultimately this is going to save users time and will limit human error in settings where agencies and partners are working with businesses. You can find out more about the update here. Since the Google Accelerated Mobile Pages (AMP) project launched 18 months ago, they have been expanding how they surface fast loading AMP pages on Google search. As part of this update Google are now introducing a new AdWords beta that will allow you to use fast loading AMP pages as the landing pages for your search ads. This update is welcome as Google shares stats for mobile load times and how high times can seriously effect the amount of traffic you have coming through to your website. They have also announced that they will be speeding ads served across the Google Display Network. This is great news as mobile becomes more and more popular in how people consume content and ads. Get more details on these latest updates here. Many of the updates that have been included in this article have come from the latest Google Marketing Next event held on the 23rd March. This event was streamed live and gave updates on Google Ads, Analytics and DoubleClick. Luckily for us they also recorded the event for our viewing pleasure, if you would rather watch/listen to these updates you can check out the link below. This is a common question asked among marketers and has been a difficult one to answer in the past for a number of reasons. These include tracking being difficult to set up, loosing track of the customer journey as they flick between devices and the fact that the attribution tool is not integrated with ad tools in order to make insight easily actionable. With Google’s latest update they look to remedy this with Google Attribution. With integrations for AdWords, Google Analytics and DoubleClick Search it will now be easier than ever to bring all the data together from all your marketing channels and make better decisions based on these. For more details on what this update means click here. Pay with Google. Earn more. Know your customer. On the 17th May Google shared three new innovations that they are releasing in order to help developers make it easier for people to pay with Google, build more profitable businesses and grow their user base. New updates to the Google payment API means that users will now be able to pay with credit and debit card details saved to their Google accounts, this means faster checkouts. They have also introduced an all-new AdMob, their platform built for advertising on apps. AdMob has received a complete overhaul from the ground up and this now means better usability and more detailed insights from your ads. Along side these two updates they have also made improvements and innovations to Universal App Campaigns with improved placement and new bidding options to let you discover more of your best users and advertise to them. The Google Quality Score helps you understand how effective your ads will be and ultimately helps you increase your ROI on ad spend. Google have now announced that they will be improving the Quality Score to help you get even better results from your ads. The first change they have made is giving you the ability to add new columns with additional data, including “Exp. CTR”, “Ad Relevance” and “Landing Page Exper.” These columns can be added to your keyword report in order to give you a clearer picture of your keywords’ current score and keep an eye on performance. The second change that Google announce here is that they are now allowing you to view historic data on the quality of your keywords. This is an important update as it allows you to understand the impact of activities such as ad optimisation on your on going campaigns and continue to make adjustments whilst watching keyword performance. Find out more about these updates to Quality Scores here. It is common knowledge that remarketing is a powerful tool for advertising to customers who have already engaged with your brand in some way. Google have now made it even easier to find new and high potential customers by using your remarketing data to identify similar audiences. Similar audiences is a new tool that helps you identify new potential customers that share similar interests with your best current customers. Using remarketing data this allows the tool to identify those customers that visit and engage with your brand the most, profile them and then match then with new audiences to help you target new customers. You can find out more by reading the update here. Bing has announced that they will discontinue support for advertisers looking to use standard text ads (STA’s) in favour of their transition towards expanded text ads (EXTA’s). This move will be taking place from the 31st July 2017 and means that users will no longer be able to create STA’s and instead will only be able to create and use EXTA’s. This is a move made by Bing after identifying a trend of advertisers moving from the traditional STA’s to the news EXTA’s format. Bing do note that current STA’s will still be available for use alongside EXTA’s for the foreseeable future. Read the full update here to find out more. On April the 26th 2017 Bing celebrated their inaugural Global Bing Partner Awards at the Seattle Museum of Pop Culture. The event attracted over 220 attendees and celebrated the success of individuals and teams from within the Bing Partners from around the world. You can see the winners from across the categories and find more information on the event here. A year since Google announced the expansion of Firebase and they have now announced that they will be scraping the name and integrating the functionality into the Google Analytics brand. They have also announced multiple updates including the integration of the tool with AdMob. In practical terms this update means that your revenue, impression and click data that has been collected from AdMob can now be connected with the event data collected by the Firebase SDK. This move will mean you can now build a more complete picture of all your metrics in one place by adding your ad revenue as a factor against the rest of your analytics data. Google are now also allowing you to ad up to 50 custom event parameters to your reports, delivering more flexibility and insight from your reports. This means you can answer specific questions on your data such as “how long does a customer play my game before making a purchase” by providing the custom parameter data within the platform. We also see updates to the functionality including an integration with DoubleClick allowing data on install (first open) and post-install events to be imported back into DoubleClick as conversions. As well as an update on the introduction of real-time reporting on their latest app reports, giving you more insight into how real users are using and navigating your app. For more details on these updates you can read through the full announcement here. We have already seen that Accelerated Mobile Pages (AMP) is a continued area of improvement for Google. After gathering feedback from users, Google found thatnot being able to sufficiently gather data on customer journeys through AMP and non-AMP pages was a significant issue in gathering data. As a result they they have made some updates to make this easier and clearer. The update has been designed to bring consistency to users across AMP and non-AMP pages and will do this by unifying your users across the two page formats. They note that there are no actions required on the user side and all updates will take place in the coming two weeks. You can read more details on the updates and what they mean by clicking here. The Google Marketing Next event on the 23rd May was bound to bring some exciting developments in the SEO, PPC and Analytics space and it didn’t disappoint. We have seen some substantial developments over the last year in the platforms both Google and Bing offer to promote our businesses. These moves are important as digital marketing continues to evolve into the heart of a businesses marketing effort. We have seen a clear understanding of the pain points many marketers are feeling when it comes to budgets and demonstrating the worth of PPC campaigns with Google’s new ‘Maximise Conversion’. This update is happening in tandem with other updates from Google, designed to help marketers gather more data and understand exactly what their customers’ movements online mean. Bing’s nod to globalisation with their English ads now being available to use in France and Germany is a strong move and we look forward to seeing the evolution of this move in the coming months. We have also seen a continued trend from Google to build on their analytics and functionality when it comes to Accelerated Mobile Pages (AMP). This is an important move to watch from the company as they continue to emphasis the importance of search engine results and ads on mobile platforms. This trend is also made clear from the updates and focus the company have on their AdMob platform.